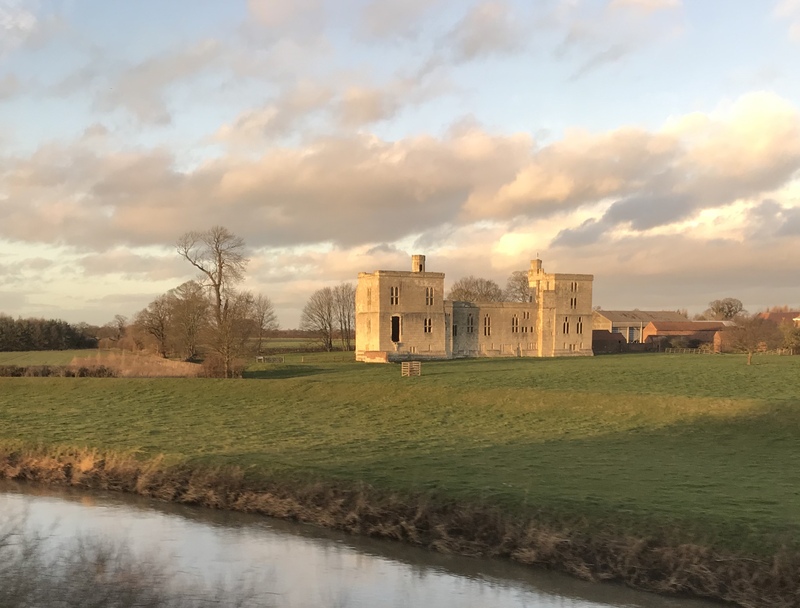 A Trundle to York……. | Which me am I today? Yesterday was the first day in ages that I’d had two events back to back and it didn’t come easy. I was soooo glad I’d organised everything for the week on Sunday, as I always do, which meant paperwork, tickets and instructions were waiting for me on the side to put in my pink folder. I was at Bradford Uni the day before and yesterday I was with Bradford again but at York for an event to celebrate one of the studies I’ve been involved in. I’d got back the previous evening very tired and brain dead and then had to get up at silly o’clock for the early train to York. Normally this would be easy peasey as it’s my best time of day, but once again, routine has gone out of the window and 2 days running of out and about was hard. Anyway….hopefully I’ll get use to it all again. 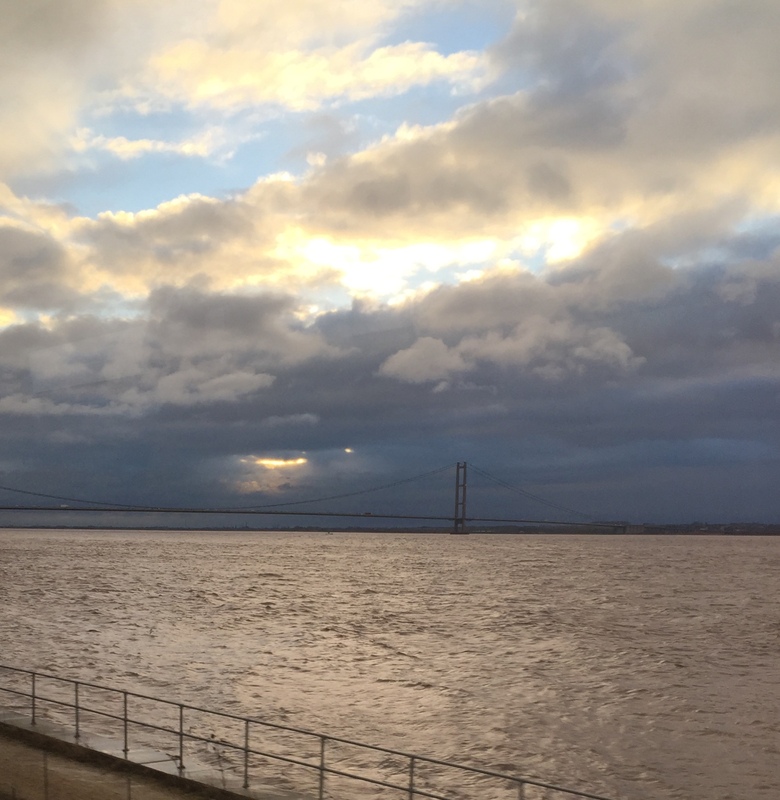 It was a very different day from previous and the playful skies over the Humber had been replaced by an unwelcoming grey rain filled sky……but still there were chinks of hopefulness …. 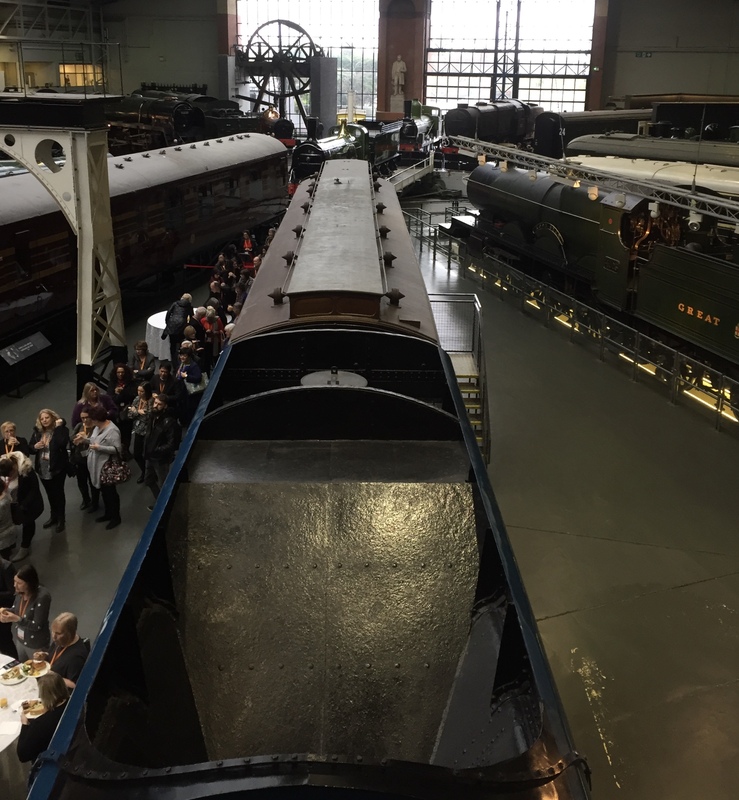 Sandra was meeting me at York station for us to amble down together to the lovely Railway Museum – a train enthusiast paradise. 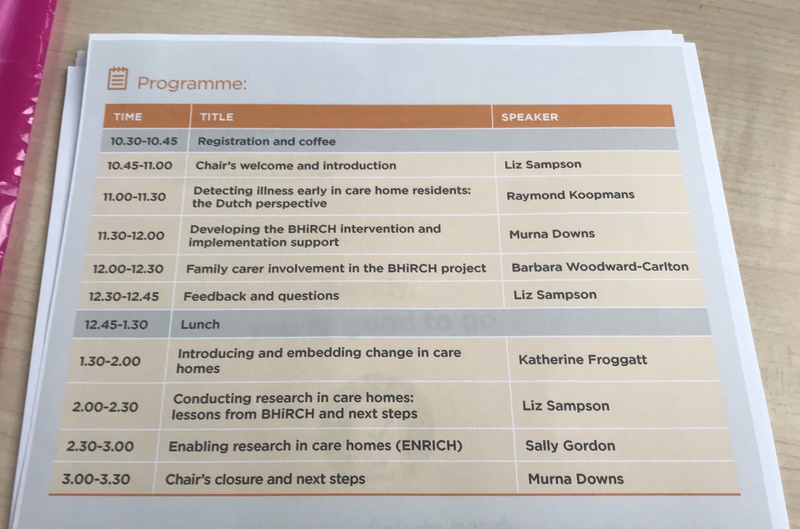 We were there to promote the findings from the BHiRCH Pilot project – Better Health in Residents in Care Homes. The aim was reducing avoidable hospital admissions from the care home. As always, it’s been wonderful being on the reference panel for this. I often say that I’m doing it for purely selfish reasons – i.e. wanting to make things better for when I need them😂 but in this case it just reignites my thoughts on not wanting to ever go in a care home. So maybe I’m doing it for others with this project as some people want or have no choice but to go into a care home for various reasons. Anyway, back to the session. The room was chocca as the event sold out days after being advertised…..
Prof Raymond Koopmans from the Netherlands was the first speaker. In the nursing home where he works they have separate units, one being for people with Young Onset and day centre for people to stay active. Mmmm interesting. The Dutch government fund the University Care Home Network. Here Care Homes have a designated GP but in the Netherlands they have specialist geriatricians. It’s a unique specialty in the world. They are employed by the Care Home. They work 24/7 and have to be with a patient within 30 minutes any day any hour. All residents have electronic resident files which the doctors can access at home if out of hours and prescribe electronically. Someone asked a question asked about funding and his response was that all care homes are state funded. The charge to the resident depends on their income but everyone gets some if not all financial help. I asked if the Netherlands have the 3 tiers as we have of Residential, Care and Nursing Homes? 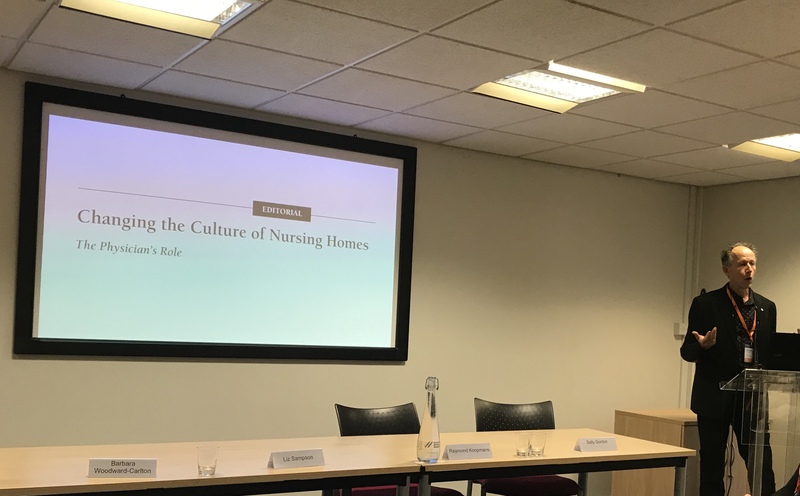 His response was, since 2015 all residential homes disappeared as emphasis was put on staying at home but this huge transition has led to the Nursing Home system being under huge pressure hence the lack of nursing staff. A really interesting talk on a system elsewhere in the world and comparing it to ours……….. 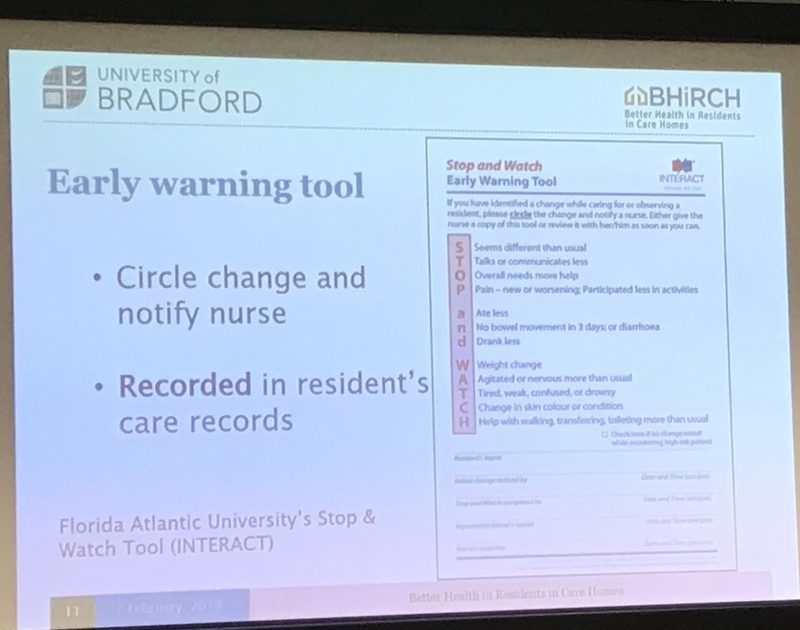 The Stop and Watch Early Warning tool is a simple tool available on line for anyone to use…….. Older people respiratory problem don’t always manifest in coughing, they become quieter….so knowledge is key to identifying changes early. They want the care assistant to feel a key part of residents medical care. But to do this they have to have the knowledge and training and TIME to do this. The family should also know the process as part of the care team as they often know best what’s normal and what’s a change. Next up was my lovely friend Barbara Woodward-Carlton……who heads the Carers Reference panel, which I’m a member of……. Barbara told the story of her mothers traumatic experience in hospital. For her to say, ‘I don’t like it here’ was very significant. She spoke of the important role of the Carers Reference Panel for this project. Bradford Uni of Dementia Studies has such a panel on all projects.I’m on lots of them, which makes me very happy. She spoke of how Care Assistants are undervalued and underpaid. ”what is difference in the culture of the Netherlands that means the elderly are valued and funded in later life”……….He answered by saying that the current government has an interest in elderly care. He also said how one or 2 celebrities had a mother with dementia and wrote a book about it which attracted high profile discussion and helped lead to a change in culture. In the Netherlands people do not have to sell their homes to pay for care…….. Very good questions, very good answers and then time for lunch………but it was by pure coincidence that I had a comment from someone from the Netherlands on my blog yesterday saying how there is little knowledge of Young Onset in their country……another case of you don’t know what you don’t know maybe? What I did take in was that It was so refreshing to hear researchers stating the negatives as well as the positives. So often we’re given an ideal interpretation when a more balanced view is needed. That’s what we got today. The most interesting observation was that there weren’t as many unavoidable admissions into hospital from Care Homes as previously thought. So is the hype, political hype, to give the impression that more blocking of beds is coming from Care Homes?…….really interesting food for thought and just goes to show you should never believe all you read or hear ………. Hi Wendy. Ready this BLOG and I am surprised you read already my previous comment. Surely the celebraties this doctor talked about have done something good. But there is a shortage of nurses and about dementia by young people there is a great lack of knowledge. Sorry for my poor English. 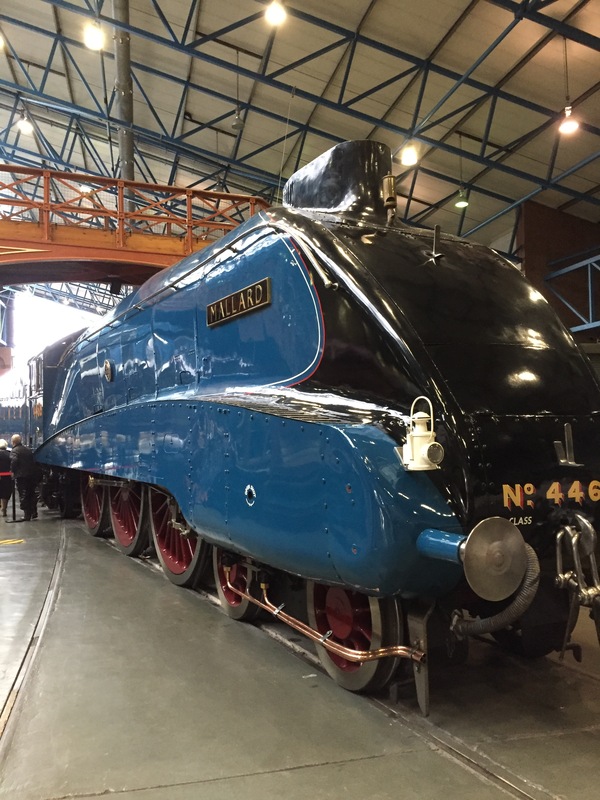 Love the Train Museum. It’s funny all the real life trains and mtpy favourite bit is the model railway. Good luck with the Care Homes message. Too often the NHS Commissioner’s only view Care Homes as a way of discharging patients to free up bed space. They don’t see the holistic view and how the homes are a vital part of the health care system.